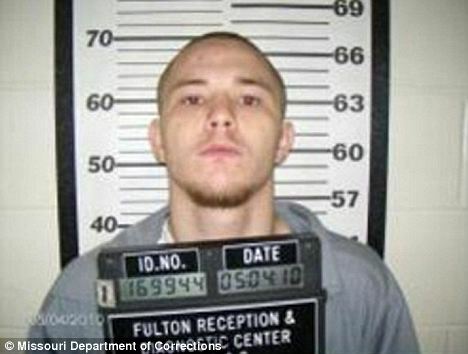 Terry Joe “TJ” Volner, the babysitter of a 4-year-old boy from Wright County, Missouri, has been accused of slitting the boy’s throat and sending a photo of the mutilated body to his mother to prove that he had killed the toddler. TJ Volner, 22, took a series of photos after allegedly killing the boy, including one showing the dead boy’s chin propped up by a stick. Prosecutors said Terry Joe Volner took the gruesome “trophy” photos to prove to his mother Tina Miller that he had killed Dusty Guenther, the only son of Gina Guenther. Police say that he was jealous of Gina Guenther’s new boyfriend, though it is unclear whether or not she and TJ Volner had ever dated. TJ Volner was arrested after being found in Gina Guenther’s home with a self-inflicted stab wounds. Love letters from TJ Volner to the boy’s mother were found in the home where the killing took place. According to police, the mother’s boyfriend had visited the house the night before the toddler was killed. Gina Guenther is the mother of four, and at the time of the alleged murder one of her daughters was in the house but was not harmed. At the time of the incident, Gina Guenther was at work while her two eldest daughters were at school. According to court documents, TJ Volner used his cell phone to send pictures to his mother, though why he would want to prove that grizzly fact to her is beyond understanding. The murderer boasted that he had killed all four of the children as well as Gina Guenther’s new boyfriend, though the three daughters were untouched and no other bodies were found. One of the pictures of the dead boy showed part of a man’s arm with a tattoo, which helped investigators as they said TJ Volner has the same tattoo on his arm. The toddler was found last week in an ice covered lagoon near his home. TJ Volner, who was released from prison in March from a three year sentence for theft, had been staying with Gina Guenther on and off since his release. Sergeant Casey Jadwin with the Missouri State Highway Patrol said that TJ Volner confessed to him that he’d killed the child by stabbing him in the neck with a folding-knife. In addition to a murder charge, TJ Volner faces charges of armed criminal action and abandonment of a corpse. The killer is being held in jail on a $1million bond. Jilted Louis Dowler: "Kate Winslet was so cruel during our break-up"